Fantasy/romance writer Mona Hanna. I like kittens. 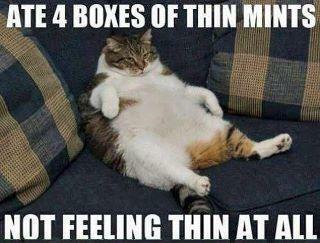 I know I shouldn't laugh at the poor cat, being so overweight, but LOOK AT THE LITTLE BUTTERBALL.